Great review, and well-written as always. I have read this book many times over the years and I have read many other books involving many of these cases. The Son of Sam stuff is very compelling, and indeed the NYPD reopened the case based on some of this information. the rest of it is too loose for me. I am quite sure Radin was not affiliated with the process. He was killed by Laney Jacobs over a drug burn and a perceived snub regarding her participation in the making of the Cotton Club movies. how could he have known about that? last comment- the guy who Terry calls " Manson 2"
One of four "Cotton Club" defendants named in the 1983 execution of Broadway promoter Roy Radin was charged Tuesday with a second and apparently unrelated murder. Former security guard Alex Marti, who is already fighting the Radin murder charge in a preliminary hearing under way in Los Angeles Municipal Court, was charged in the unrelated robbery and killing of Rene Vega on Aug. 4, 1987. He and two co-defendants, Scott Hadley Ashley and Rod Brennan Columbo, are scheduled to be arraigned Thursday on murder charges in the Vega case. When I did my posts on this subject I turned the cyberworld upside down looking for contact info on Maury Terry. No-one knows how to get in touch with him. John 'wheaties' Carr and Michael Carr. Both SONS OF SAM Carr. I read The UE years ago and it raised my interest in what happened to the Process Church.. I came upon this website "The Dog Press" and a very good report by "Ms. Jade" who apparently did a lot of research of the "Best Friends" Animal Foundation in Utah. 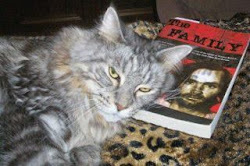 She says the Best Friends Animal Society, aka The Process Church of the Final Judgement, aka the Four-P Movement, aka The Foundation Church of the Millennium, aka The Foundation Faith of God are one of the same. Mary Ann DeGrimston died on Nov. 14, 2005 at 74 years old. At the time this article was written, Robert DeGrimston was a business consultant in New York. They had divorced many years prior. It's a two part series but quite interesting and detailed. Hey Kimchi- that is true!! Saint,I told L/S awhile ago that you'd be back. No reason for anyone to be mad...ever. I just knew you wouldn't be able to resist posting again. Posted this on my old thread but just in case a few of you missed it. investigative reports:son of sam speaks. theres also a link to a pdf of the book a few pages back. Thanks for the review, Starship. I read this book when it first came out many years ago. 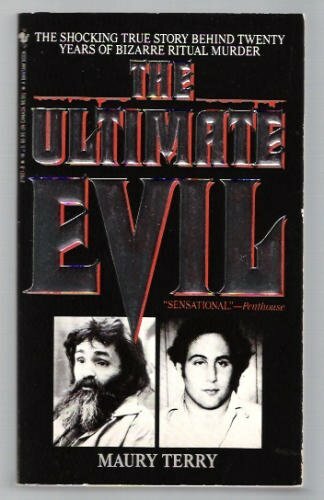 I lived in NYC at the time of the Son of Sam murders and this book was the scariest I had ever read. I don't remember, but weren't there several SOS victims who had contracts put out on them, according to Terry? They weren't random shootings? I think the first victim, Donna Lauria, and one of the later victims, Christine Freund, were two of them. This book is probably the most interesting true crime book that I've ever read. I don't buy some of the Satanic cult stuff but it's a very interesting read nevertheless. I do believe that the Carr brothers were involved in the Son of Sam murders. Remember the great Satan scare of the 80s? Sorry "Charlies" but there's no way I'm buying the fact that Abigail Folger, Charlie & Shorty were BFF's. There's no evidence to support that theory.